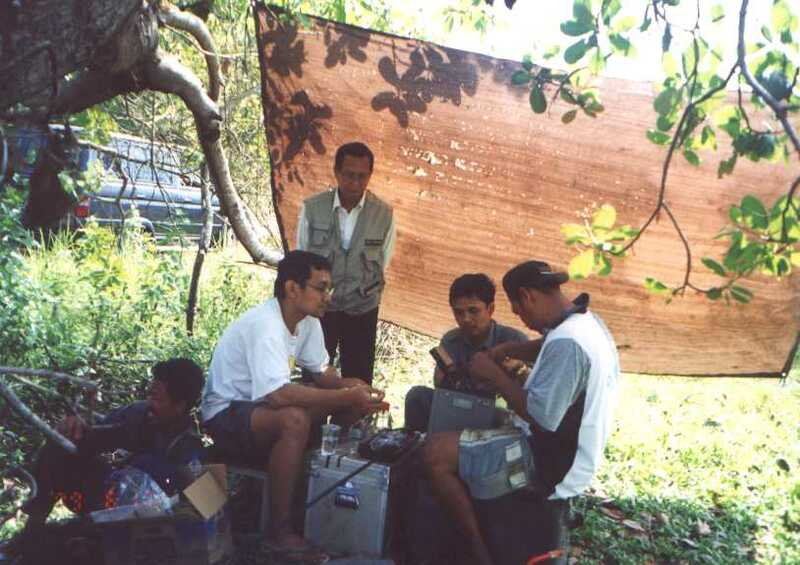 Optical splicing 1: Aspandi, Dwi, Bowirin, H Padlan, Tomy, Syamsul, Gusti. 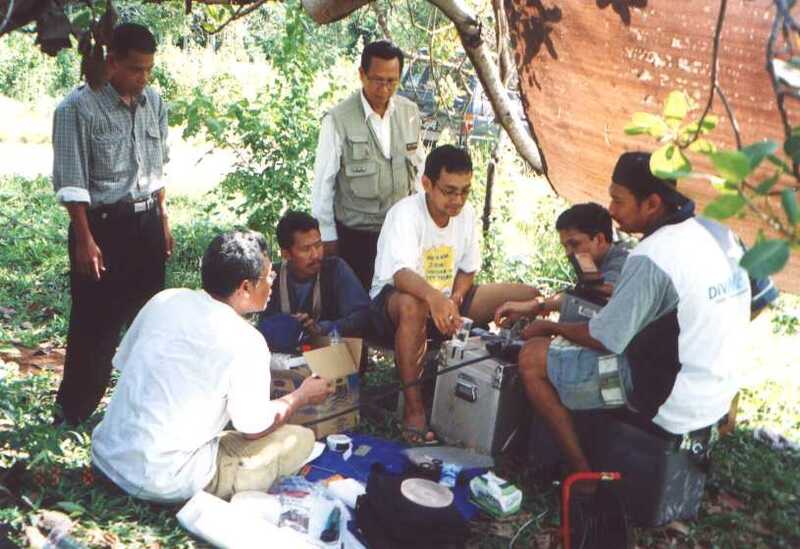 Optical splicing 2: Land-cable break at Takisung caused by lightning, May 2002. 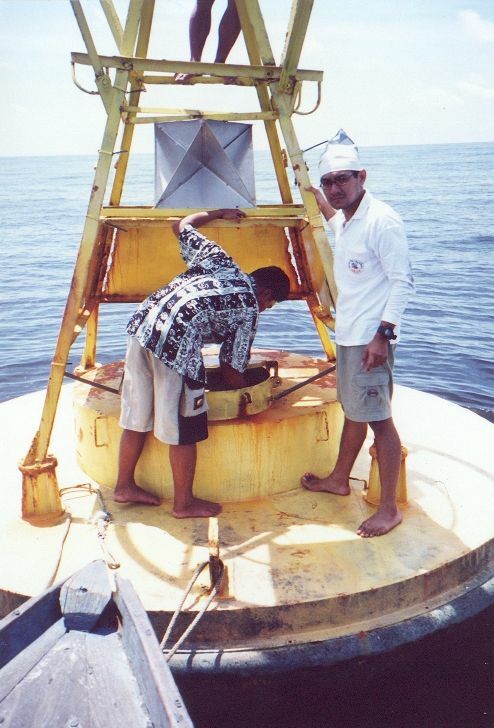 Standing on the buoy watching Mr Tedjo checking out the power bank, Nov 2000. 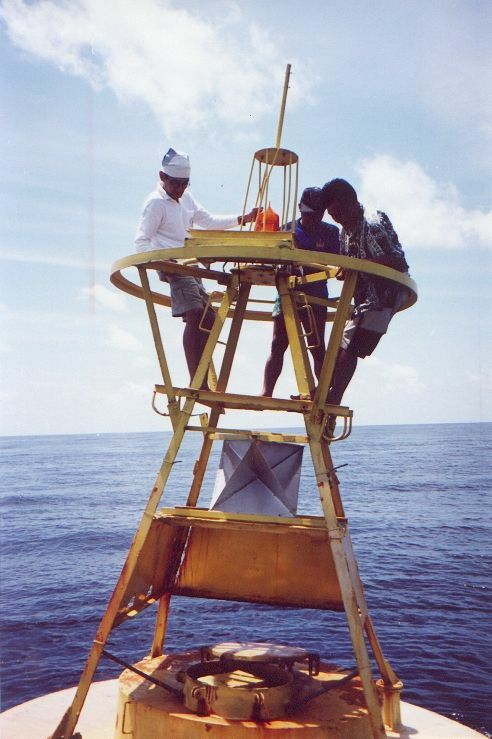 Hanging on the upperside of buoy with Mr Dwi and Mr Tedjo, Nov 2000. 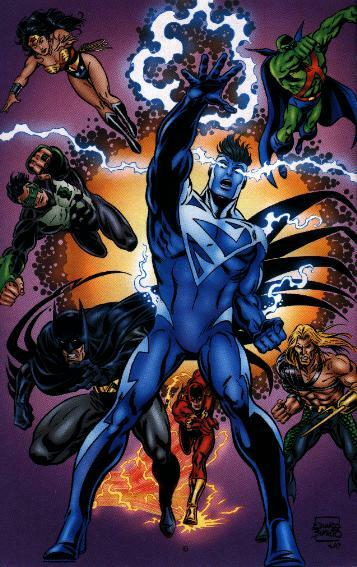 Take a shot before these boys got into the boat, Nov 2000. 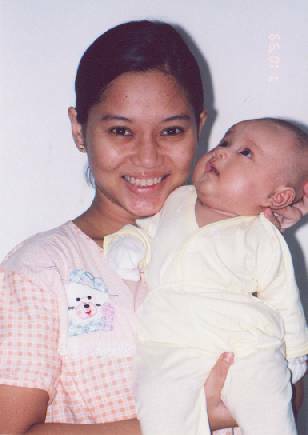 My Little Sasha with my lovely wife, Sep 1999. 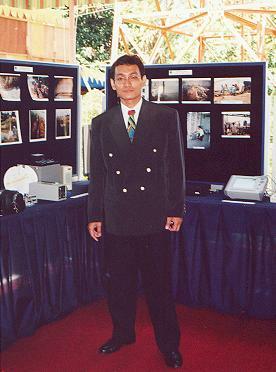 On exhibition stage of SKKL S-U-B inauguration, Takisung, Jul 1999. 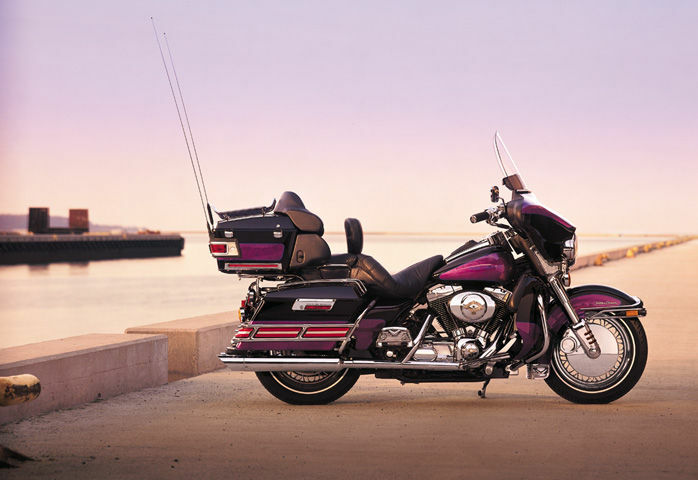 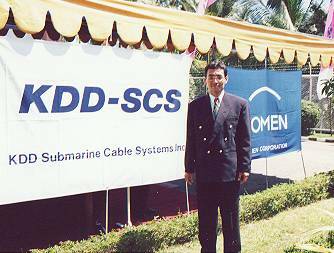 In front of KDD-SCS and TOMEN banners, Jul 1999. 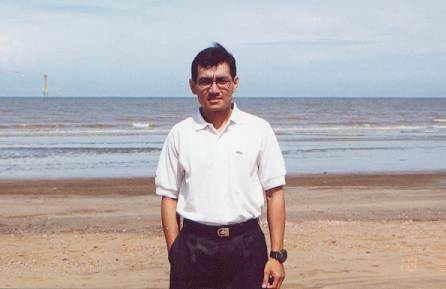 Takisung beach with submarine cable lighthouse on the background, May 1999. 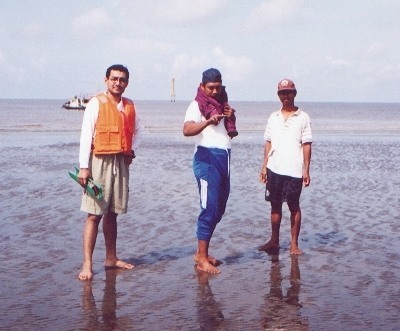 With Mr Takanori Uno of KDD-SCS at Takisung beach, May 1999. 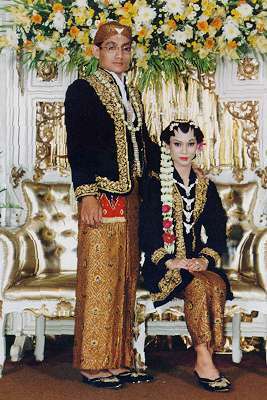 Me and My Wife, Bandung, April 1998. 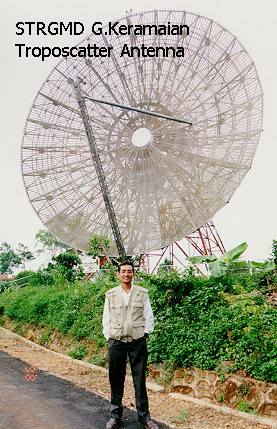 Inside Banjarmasin Earth Station, 1998. 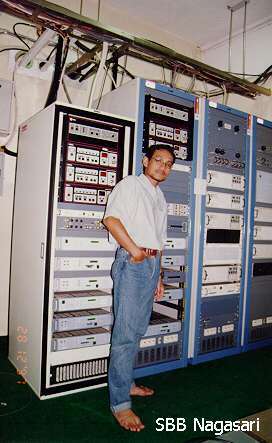 Microwave Repeater Station at Gunung Keramaian, 1998. 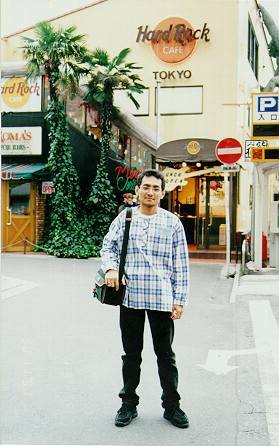 In the front of Hard Rock Cafe Tokyo-Roppongi, Dec 1997. 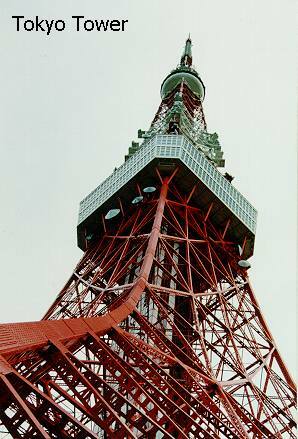 Bright sky above Tokyo Tower, Dec 1997. 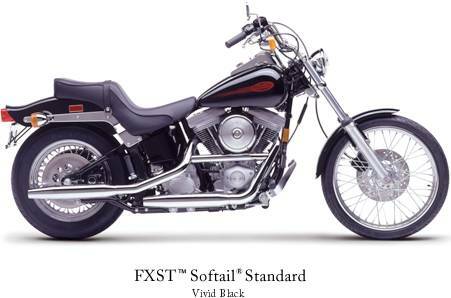 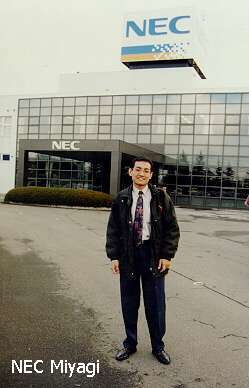 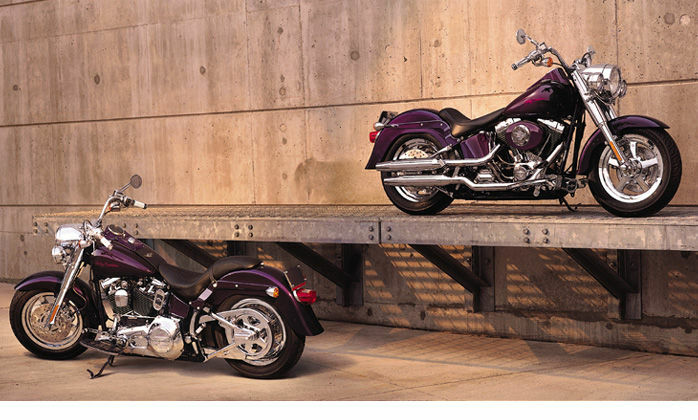 Factory tour to NEC Miyagi, Sendai, Dec 1997. 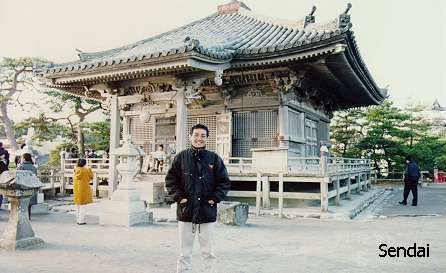 Old traditional house on Sendai, Dec 1997. 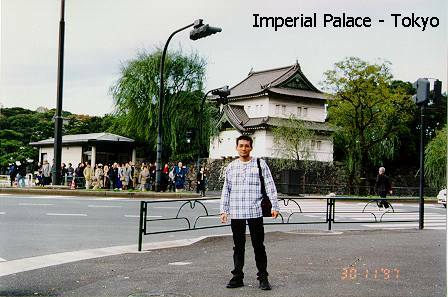 Visiting Japan Imperial Palace in Tokyo, Nov 1997. 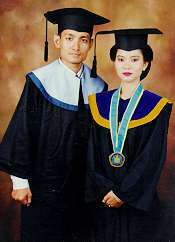 Together wearing Graduation Suit, Bandung 1997. 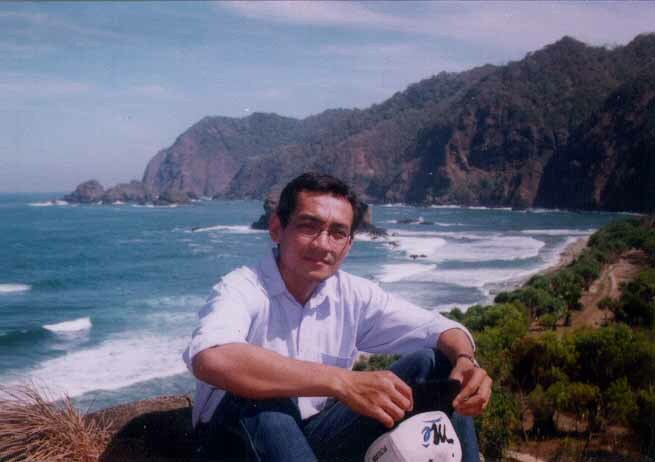 Me at Watu Ulo, Jember - East Java, Aug 1996. Whatta beautiful place! My photograph. 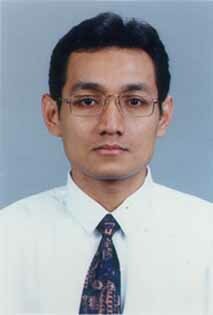 Taken at 1996 in Jakarta. 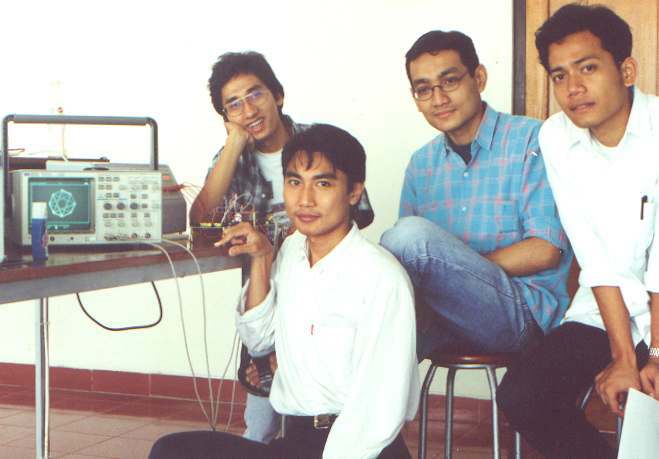 Inside STTTelkom's Comm Lab with Hasan, Eka and Reinaldy, sometime in 1995. 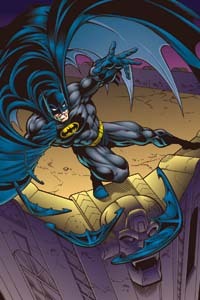 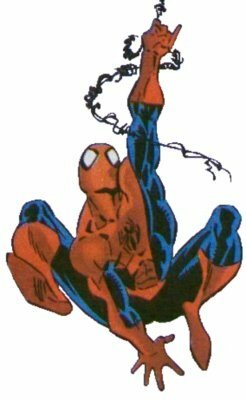 Batman in his acrobatical action. 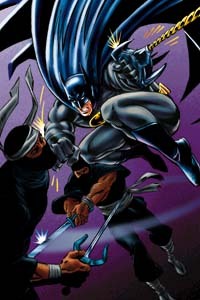 Batman fighting over bad guys. 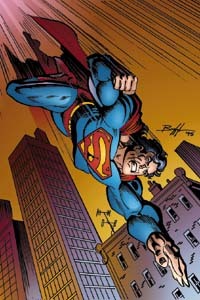 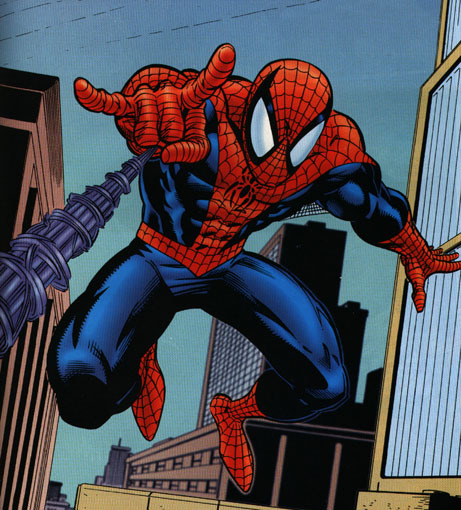 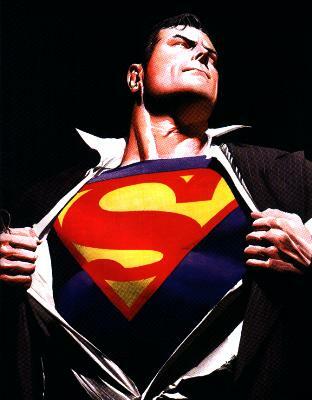 Superman in his New Suit. 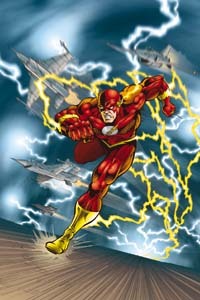 Flash running up over the building. 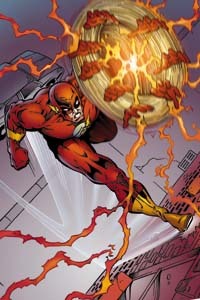 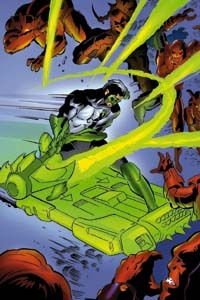 Green Lantern blasting out enemies.